glorious photos! esp. love the ice on the rocks. Lovely collection of images from nature! Thank you for these beautiful photos and wise words, especially the last quote is very comforting. Beautiful photos. Love the quote too. You and Art Muse Dog have captured so lovely photos, and your haiku is perfect! Yes, pictures and poems speak more. From freedom and wild life to a life in a cage. Wow! Thanks for a few minutes of beautiful escape. I do get tired of talking and that carries over and makes writing difficult too, but thinking of words as handclasps that can bridge distances of time and space helps me to use them better and keeps me talking and writing and sharing them. Some of my dad's photographs have that handclasp quality for me too. Communication doesn't have to be strictly about words. I think it's more about having an authentic presence in the lives of those we love. Wonderful, thoughtful photographs. Thank you for sharing them. I am definitely not a talker. I'd love to write more on my blog, but am mindful of the time constraints of my readers. Your photos today are beautiful! I like the relaxing mood of these photos. 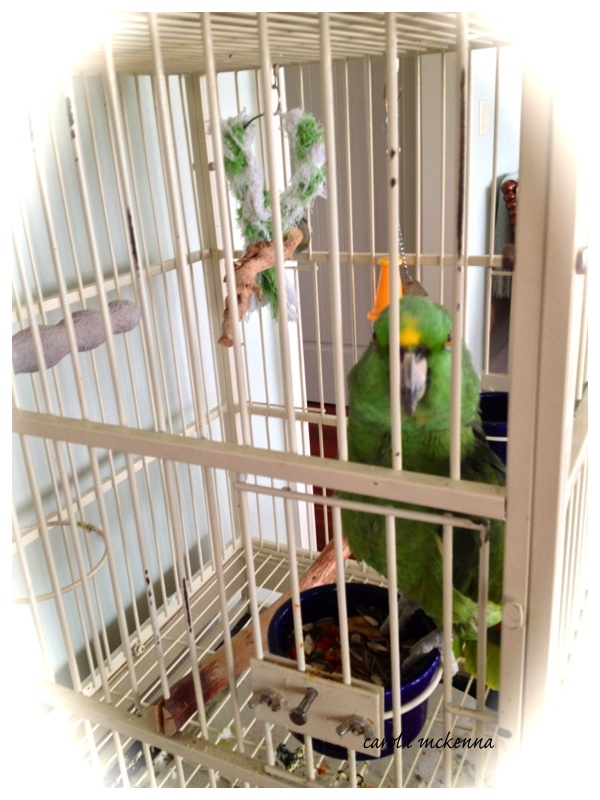 Love the parrot! He looks like he wants out of the cage! I never thought of myself as creative before I picked up a camera. I have written some poetry before, and cannot paint or draw even a stick person! Photography works for me though! It brings me right into the moment of something, and I like that too. You take lovely pictures and you are right, they do speak aloud. Beautiful blog, photos, phrases, designs! Shame that I do not know English and I use Google translator (only German, French and Italian) ! I like the Internet because it allows me to expand my world and get that far, from Genoa (Italy) where I live! Lovely picture of the Harbor, great H! 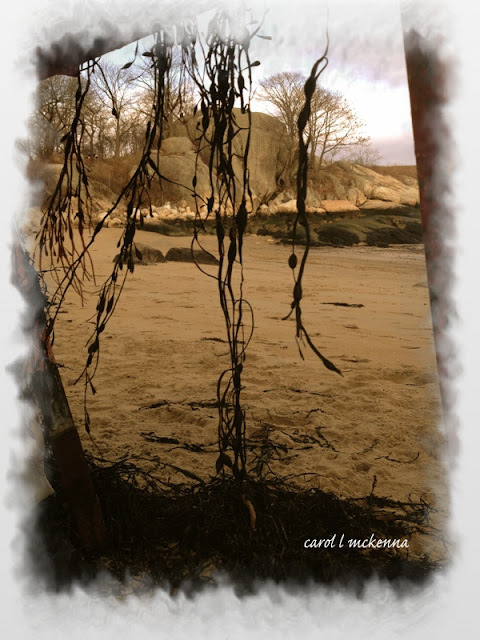 Nice thin ice rocks and haiku, beautiful beach, I like the curtain effect almost like a secret corner. Sometimes what and why photographed can say even more than words. 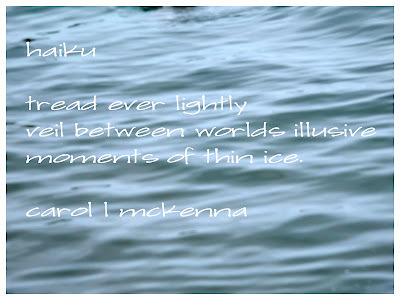 Love the Haiku, and icy photos. Lovely Cape Ann scenery! I'm pretty social, but I often don't feel much like talking and I value silence at times. Lovely photos! Such lovely places you've chosen. 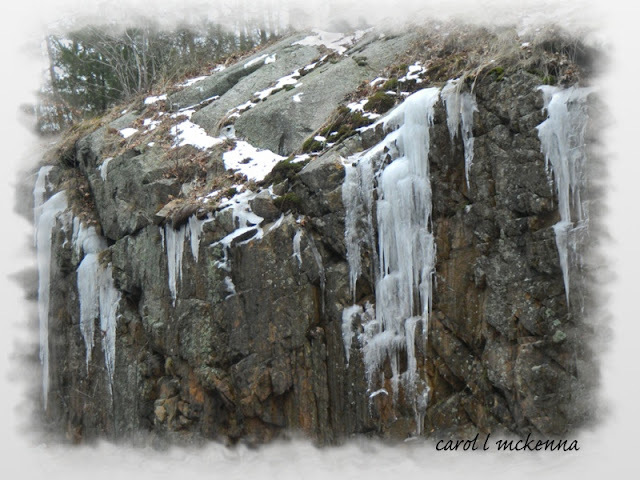 What a great capture of the ice flows on the rocks, Carol ... and I like the composition of the Seaweed Decor. Thanks for joining Walk and Click Wednesday!! i enjoyed your photos so much and the haiku is wonderful. how do you keep all these themes straight? Gorgeous captures Carol, I love your first photo! Hi again! Love the post – great photography! 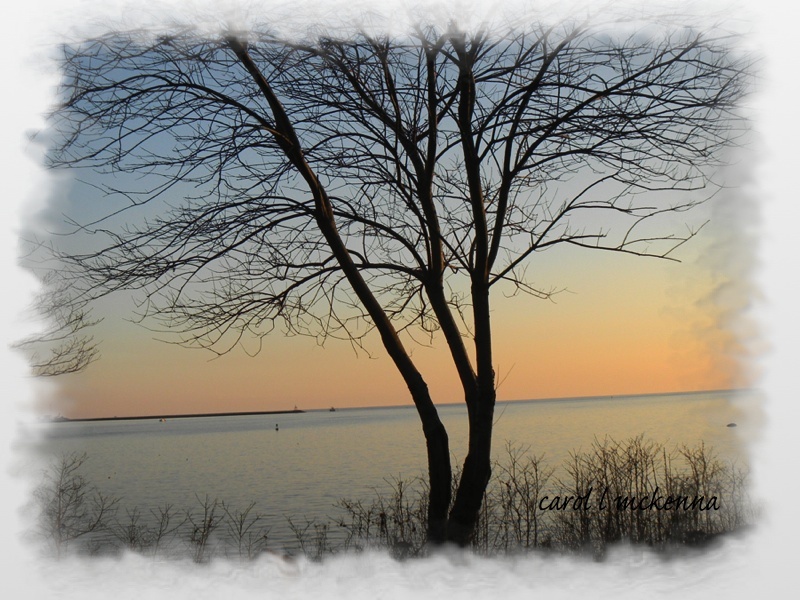 Beautiful photos, haiku and post! Dear Carol, you are so right saying that we can express ourselves through art much more clearly than words. I love how expressive and creative every day you are. Thank you again for sharing with us. Have a lovely weekend. Love your photographs today! I especially love the robin. 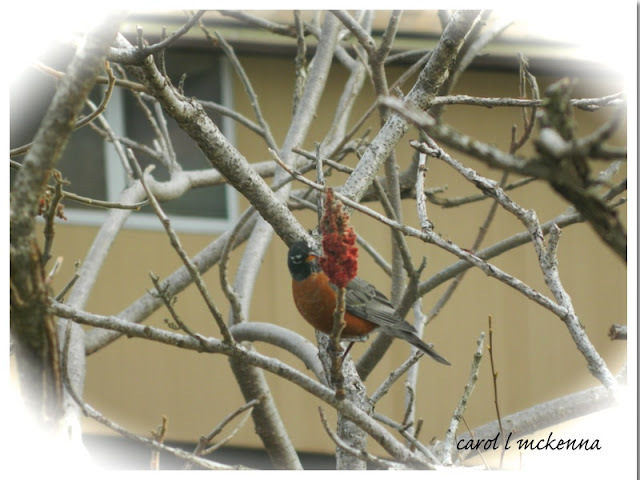 Our robins returned just this morning. I hope you will stay in contact with the members of Red's community by networking on a group board that is being put together, or maybe already is on Facebook.